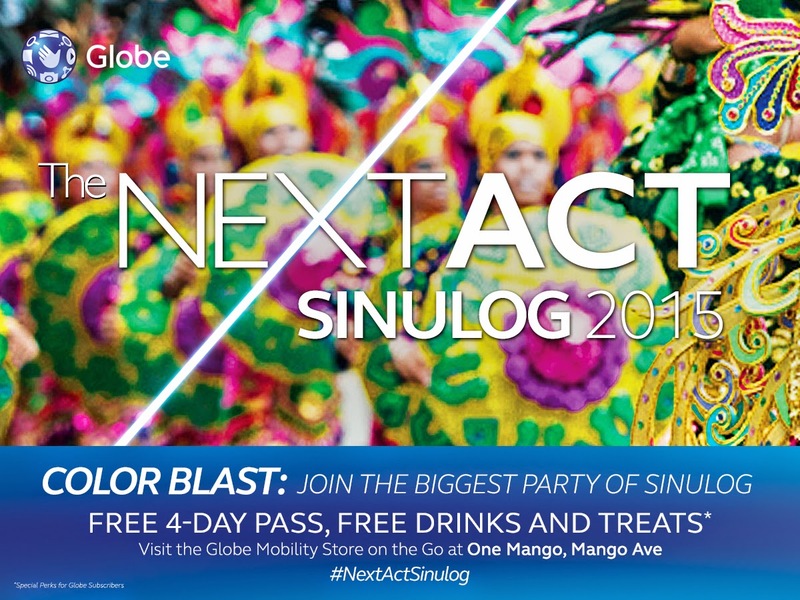 Globe celebrates the 2015 Sinulog Festival with the NEXT ACT; the telco is wrapping a bunch of fun-filled events and parties open for all Cebuanos and tourists alike. The NEXT ACT (Art + Community + Technology) will run from January 15 to 18, happening in different sites here in Metro Cebu. Check out as we spill the beans of the upcoming events right after the fold. The heart of the NEXT ACT will be located in the Globe Village in One Mango Avenue Mall wherein the masses can experience the fully-functioning Globe Mobility Store-on-the-Go. Situated in the same site are the interactive game booths of Tattoo, Globe Prepaid, Globe Postpaid and TM. Globe partners like Cloudfone and AllPhones will also join the fun. Booths will open at 4PM on January 15 until the 18th. The COLOR BLAST event will be on in January 16 starting at 7PM. Acts like Callalily, highly-lauded DJs and Globe NEXT ACT ambassadors DJ Mars Miranda, Callum David, Badkiss and Eric Capili will pump the party and paint the Sinulog sky with colors. Variety shows with Cloudfone Ambassador Xian Lim will also be happening on the 17th. Afterwards, the aforementioned Globe NextACT DJs will hit the stage for an all-out party until dawn. 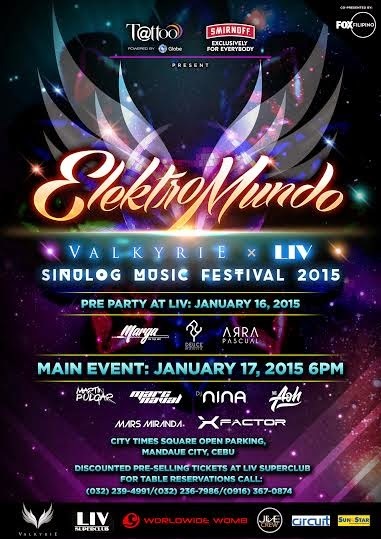 Simultaneously on the 17th, the most awaited ElektroMundo Sinulog Music Festival will hit the City Times Square Open Parking in Manudaue by storm. This event is powered by Globe Tattoo. Check out our detailed #NextACTSinulog activities below for more details. See you there! Here is the updated schedule of events!